Are you looking for the best WiFi speakers the market has available, but aren’t sure which option will work best for you? Figuring out what WiFi speakers matches your list of requirements can be a challenging and time-consuming process, which is why we have scoured the marketplace and carefully selected the top 10 WiFi speakers. We have done all the leg work so you won’t have to, thus saving you time. Also, it’s important to understand and differentiate some of the main features of WiFi speakers because some speakers have better overall stats than others. With that in mind, we have created a buying consideration section where we go over the many different features that a WiFi speaker must have. In addition, we have created 3 different price categories that will help you decide which WiFi speaker is best for you. The prices range from budget to premium, so you’ll definitely find a WiFi speaker that is within your budget. Once you have finished reading this buyer’s guide we are confident you’ll have the right amount of information to make a good decision and end up with a WiFi speaker that is perfect for you. Audio sounds high quality and can fill up a room with beats easily. Uses 6 amplifiers and 6 dedicated drivers that produce quality audio. Easy to use and has a great frequency response. A speaker must be both light and small enough for it to be easily carried around. Furthermore, a battery-powered approach is ideal that doesn’t require the use of wires, which is very restricting. Most Bluetooth speakers are portable, but the same can’t be said for WiFi speakers. This isn’t necessarily a negative as you won’t be moving the WiFi speaker around too much. After all WiFi speakers rely on a separate network to enable multi-speaker and multi-room audio playback, which means no matter where you put it you’ll still get audio in all rooms. Not all portable speakers are made to be carried outdoors or even by the pool. Some WiFi speakers can handle small splashes, but make sure to check if it does have a waterproof rating. IPX5 is a great waterproof rating and anything higher than that is a bonus. In addition, you can check to see what the WiFi speaker is made from. Sometimes viewing the picture alone indicates if there are premium materials or it’s simply plastic. Most WiFi speakers have a rugged design, which makes them easier to grip lowering the chances of it slipping out your hand. Also, make sure to get additional years of warranty, because you never know when the WiFi speaker will wear out. Plus, getting an extended warranty doesn’t cost as much as it used too and it’s better to be safe than sorry. Moreover, some companies offer lifetime warranties and the customer service is usually excellent. Without a doubt, excellent audio quality should be on top of your list of requirements. Plenty of speakers produce top-notch audio, but lack in other features. An example would be large WiFi speaker can output better sounding audio due to its size, but won’t be as easily portable. 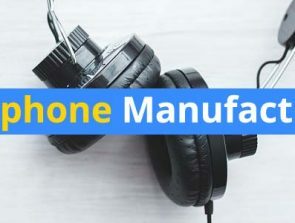 However, the more you are willing to spend the better the audio quality will be because the manufacturer can invest more resources on various design components. Some options will even include a built-in EQ that you can use to regulate the bass and treble. Clarity: clarity is by far one of the most important things to look at because there is no point in buying a WiFi speaker if the audio isn’t going to sound good. Typically as the audio becomes louder the quality can somewhat decrease. However, if you purchase a speaker with excellent clarity then the quality will stay the same no matter the volume level. Frequency response: the frequency response determines the amount of notes a speaker can play. A wider range is desirable as it leads to audio that has a more sophisticated level of quality. If you’re a bass enthusiast then try to get a WiFi speaker that has a frequency response of at least under 100 Hz, because this means the speaker can output vibrant lows with excellent precision. Multiple connections: to have a complete sound system you must have a WiFi speaker that can have multiple connections. Also, some WiFi speakers allow you to connect to speakers like Amazon’s Alexa, which gives you access to voice control. Having a decent budget is a huge plus, because you’ll be able to buy a WiFi speaker with more features. However, don’t assume that the more money you spend the better the speaker will be. As mentioned previously look at that stats of the speaker before coming to a conclusion. You can go the other route and buy a budget WiFi speaker, which won’t have as many features. But if all you need is multiple speaker connections then there is no reason to pay extra for features you won’t use. The under $200 price category features some of the best budget options the marketplace has to offer. Here you will find an array of different options that come with the main features a WiFi speaker must have. You can control the speakers using voice commands when Alexa is connected. Also, you have access to multiple speaker connections, thus creating a home audio system isn’t too difficult. The Bose SoundTouch 10 wireless speaker works with Amazon’s Alexa, which gives you access to voice control. Although the size of the speaker is quite small, the output is actually very high – producing audio that can fill up a room with ease. Adding multiple speakers to the sound system is just an improvement and makes audio sound lifelike all around your home. In addition, you can connect to the speaker using Bluetooth, which is a great alternative if you want to listen to music quickly. 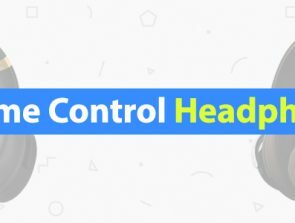 With Bluetooth, you can control the music far more easily as you can control the volume with your smartphone, and with the help of some EQ apps you can control the treble and bass. Moreover, the lightweight design of the speaker makes it easier to move room to room. However, once you have a complete home system there will be no need for moving the speaker around, and you’ll get access to voice control from all rooms no matter where the central speaker is located. Also, the total amount of speakers you can connect to the Bose SoundTouch is 10, which should be more than enough for most households. When connecting with Bluetooth you must stay in range of the speaker because otherwise, it will disconnect. This is a major flaw and can be extremely annoying when you need to walk around. However, when connecting with WiFi you can walk around your home without a loss of signal strength, but make sure to stay within the WiFi range. 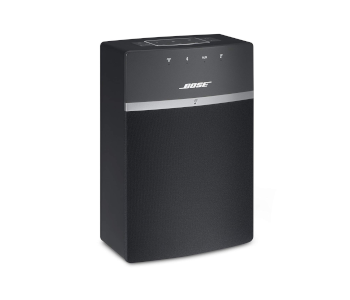 In summary, the Bose SoundTouch 10 wireless speaker is one of the best options on this list, because the price isn’t too high and the features you get are excellent. You can connect to 10 speakers at once and also have voice control when connected to speakers like Amazon’s Alexa, Dot, or Echo. 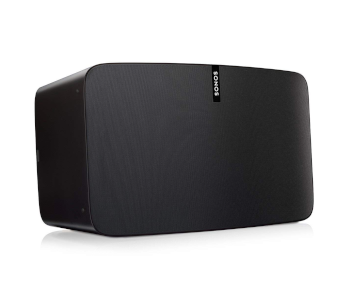 The Denon HEOS 1 HS2 Wireless Speaker works with voice control, which means the speaker is easy and convenient to use. However, you can only gain voice control features when connecting to Amazon’s Alexa. With voice control, you can easily alter the audio around your house with simple commands such as: “Alexa play playlist one in the kitchen”. In addition, the audio sounds incredible with vibrant beats being produced by the premium drivers. The drivers have been tuned by professional sound engineers, which guarantees that the audio being produced will be incredible no matter what genre you listen to. Moreover, you can stream music from your favorite services such as Amazon music, Pandora, Spotify, Tuneln, iHeartRadio, and many more apps. The WiFi speaker also has a large battery pack that can hold playback times of up to 6 hours, which is more than the average speaker. In addition, the speaker is resistant to accidental splashes so you can keep it near water sources. The only drawback is if you want voice control you must have Amazon Alexa hardware to connect to, and if you don’t you must spend additional money to purchase it. Also, the battery life is long, but once drained it takes a couple of hours to fully recharge. To summarize, the Denon HEOS 1 HS2 Wireless Speaker is a great choice if you have a pool and want to listen to beats no matter where you are in the house. The speaker is splash proof so keeping it near water is not a problem. Also, you can connect to Amazon Alexa to gain voice control that you can use to command the speaker from a distance. With the Sony SRSZR5 Wireless Speaker you will experience beautiful audio thanks to the professionally tuned drivers that can output vibrant bass and soft highs. 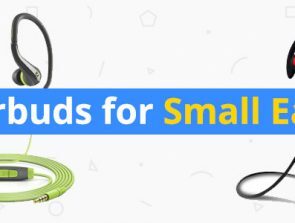 You can easily stream music from your favorite apps using WiFi. On the other hand, you have the option to connect via Bluetooth, which provides quick and stable connectivity. In addition, you can connect to multiple speakers at once with the Sony SRSZR5, which can create an amazing home audio system. Using the SongPal application you can control the music all around your home giving you features such as the ability to play music in selected rooms. Furthermore, you can connect 2 Sony SRSZR5 Wireless Speakers to a soundbar to create an ultimate TV setup, which not a lot of WiFi speakers can do. Also, you can connect a USB device to the USB port to play music if you don’t have a smartphone, which is a great alternative. 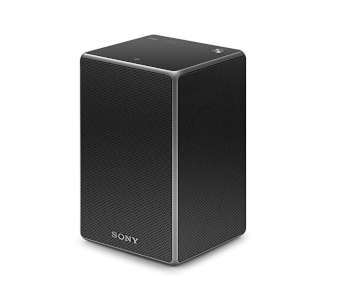 Some people have found that the Sony SRSZR5 Wireless Speaker is best used as the main option rather than a component of a surround sound system. Also, sometimes connections can be terrible, especially if you have a sub-par internet connection. To conclude, the Sony SRSZR5 Wireless Speaker is a brilliant option that gives you features such as the ability to connect 2 speakers to a soundbar simultaneously. In addition, you can use the SongPal application to play whatever music you like and tune the audio to your preferences. The speaker also comes with Bluetooth technology, therefore you have the option to stream music from your smartphone. You can connect to the GGMM Speaker using WiFi, Bluetooth, or AUX cable. Each has their own benefits, with WiFi you can create a multi-speaker system that can be controlled with a phone app. Bluetooth is a great option too if you want to play playlists from your phone, and AUX mode does the same thing but eliminates the need for Bluetooth. The design of the WiFi speaker is stylish and looks different than most ordinary speakers. The speaker uses multiple tweeters and woofers that output vibrant beats that sound lifelike. Also, no distortion can be heard as the drivers are made to work well with any genre of music at any sound level. In addition, you can use various different music apps such as Spotify to play music from the speaker, plus you can customize the audio using various built-in EQ apps. You can use the controls on top of the speaker to adjust the volume, skip beats, and turn off the speaker. The speaker does take up quite a lot of space so you’ll need to find a place where to put it. Also, the weight is not small at just over 7 pounds, so transporting it around can be a hassle. To summarize, the GGMM WiFi Bluetooth Speaker is an excellent choice, because of the HD sounding audio and amazing stylish design. Moreover, you can connect to the speaker using Bluetooth, which you can play music from apps such as Spotify. Also, you can control the speaker using the built-in buttons located on top of the device. 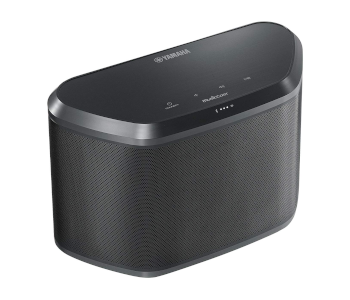 The Yamaha WX-030BL MusicCast Speaker works well with Amazon Alexa to gain voice control. Using voice commands you can tell the speaker what music to play and where to play it. For example, you can say “Alexa play: Playlist 1 in the living room”. You can even use the voice commands to use search browsers to gain information. In addition, the MusicCast app lets you control the music from your phone, letting you play tunes from apps such as Pandora, Spotify, Sirius, and other big music apps. You can use 2 units in stereo mode for a more expansive and lifelike audio experience, but this means you’ll have to purchase 2 Yamaha WX-030BL speakers instead of one. Moreover, you can connect to the speaker using Bluetooth, thus giving you the option to play music from your smartphone instantly. With Bluetooth you can play any music track you want and customize the sound with built-in EQ apps. To gain voice commands you’ll need to already have an Amazon Alexa or purchase one of you don’t, which is an additional hidden fee if voice control is a must-have for you. Also, to gain lifelike audio you’ll need to connect speakers together, which is another added cost you need to account for. To summarize, the Yamaha WX-030BL MusicCast is a great choice, since you can connect up to 9 speakers. In addition, you can play music using Bluetooth, which is a great alternative to WiFi as the connections are just as stable. Also, the music sounds excellent thanks to the woofers and tweeters that produce lifelike beats. The under $300 dollar category features excellent quality WiFi speakers that are reliable and offer various useful features. These options include Bluetooth and AUX cable connectivity. These options are far better than any budget speakers because the audio quality quickly bumps up from good to excellent in this price category. 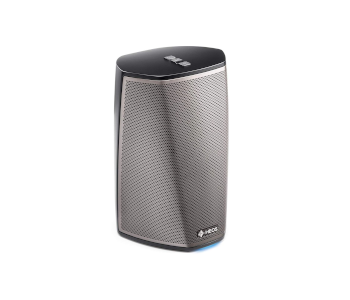 The Bluesound Pulse Flex Speaker can easily access and connect to internet radio stations, cloud music services such as Apple cloud, or stream music from your playlist. In addition, you can connect to the speaker using WiFi or Bluetooth – both methods are excellent and offer different features. With Bluetooth, you can quickly connect to your phone to stream wireless music, and with WiFi you can connect to multiple speakers at once. Moreover, you can control the Bluesound Pulse Flex Speaker with ease, because it has a convenient BluOS controller. With this device, you can adjust the volume, pause/play music, and skip between tracks. Furthermore, the audio sounds excellent, since it is using two-way speaker technologies that improve audio quality. You can also add a battery pack to the system that will further extend its lifetime, therefore letting you stream music for hours before needing to plug it in. 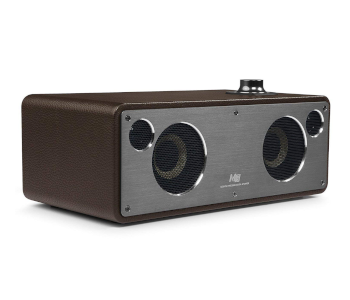 In addition, the lightweight design makes the speaker portable, so moving it from room to room will be no hassle. However, the Bluesound Pulse Flex Speaker doesn’t come with a battery pack, which is a minor inconvenience as you’ll have to spend more money. 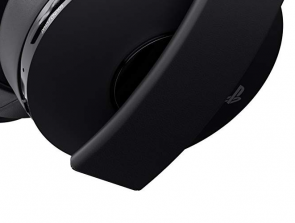 Also, the design of the speaker is pretty basic with a fully black design and black grill. 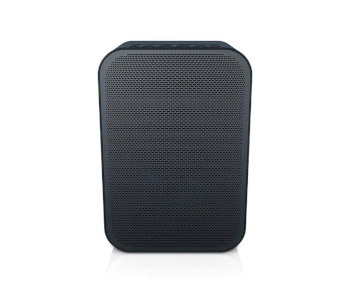 To conclude, the Bluesound Pulse Flex Speaker is an excellent premium option that comes with its own BluOS controller. You can adjust the volume and skip between songs using the controller, therefore saving you a trip to the speaker every time you want to adjust the audio. Also, you can connect with Bluetooth if you want to connect fast, which is an excellent alternative to WiFi. The Bang & Olufsen Beoplay M3 Compact and Powerful Wireless Speaker uses an ultra-wide frequency response that lets it play music the way it was meant to be heard. The bass sounds beautiful thanks to the premium woofers installed, and the tweeters output amazing vocals for all to hear. Also, you can connect to multiple speakers at once creating a home sound system for a competitive price. In addition, the Beoplay M3 is crafted with natural materials to boost sound quality, plus the design goes well with all types of stylish decors. Aluminum, Kvadrat fabric, and soft polymer bases are used to improve bass performance and help deliver a more pure sound. Also, these materials are super light so transporting the speaker isn’t an issue. You can connect to the speaker using WiFi or Bluetooth – both methods are great and but also have their limitations. The benefit of WiFi connection is that you can create a multi-speaker system around your house, and the advantage of Bluetooth is that you can connect super-fast to play any track you want. The audio created by the Beoplay M3 is excellent, but it can’t be compared when playing music from a multi-speaker system. Creating a speaker system can be expensive so we highly suggest you save up additional funds to buy separate speakers. To summarize, the Bang & Olufsen Beoplay M3 Compact and Powerful Wireless Speaker is an excellent choice, because of the audio quality produced. Using a wide frequency range the Beoplay M3 can deliver vibrant beats that sound incredible. Finally, with the help of other speakers, you can create a home multi-speaker system. 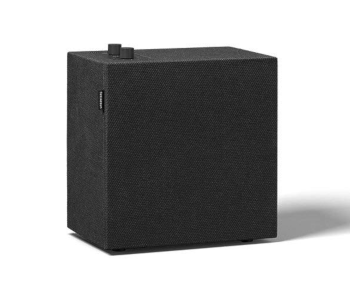 The Urbanears Stammen WiFi speaker can be used to connect multiple speakers to one device, thus creating a multi-room system. This is beneficial because you can hear music throughout your home in full HD audio. In addition, you can save 7 of your favorite playlists, podcasts, or internet stations for instant play. Moreover, you can easily control the speaker without any hassle as it uses ultra-responsive knobs. On the other hand, you can control the speaker with your smartphone when connected with WiFi or Bluetooth. Both methods are excellent and only the most premium speakers offer both connectivity types. Also, Urbanears let you use their app for free, which allows you to control the multi-room settings and adjust the equalizer to your preferences. Furthermore, the fabric wrapped multi-room speakers are designed to go well with any décor and you get a selection of 6 colors to choose from. 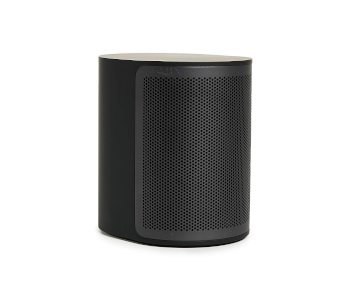 Urbanears offers multiple other WiFi speakers that you can also purchase to connect to the Urbanears Stammen. They too come in 6 different visual designs. So if style is a big factor then this is the perfect choice for you, since you can create a whole setup with the same stylish design. The only problem with this speaker is that it’s not for people on a small budget as the price is costly, so if this is out of your range we suggest you look at our other options. Also, the knob design may be outdated for some people and most users will prefer a digital interface. To conclude, the Urbanears Stammen Speaker is an excellent choice, because of the beautiful music output that can be heard around the whole house. You can connect to the speaker using WiFi, AUX, or Bluetooth. In addition, there are 6 different designs that the speaker can come in so you can purchase multiple audio devices to create a stylish home setup. The under $2000 category features the best of the best. These options have been carefully selected in this list and are the best WiFi speakers the marketplace has to offer. Here you will find a combination of premium quality build and ultra-excellent audio output. Also, make sure you will have money to invest in speakers to put all around your house, otherwise you won’t feel the full effect of these WiFi speakers. 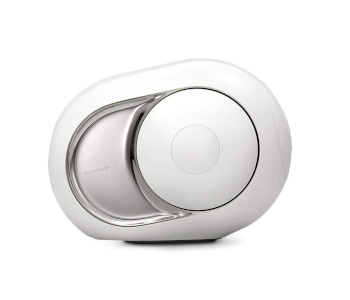 The Devialet Phantom High-end wireless speaker emits ultra-dense sound with physical impact. No distortion can be heard when listening to music and also no saturation is heard too. The 1,200 watt peak performance sounds amazing thanks to the aluminum tweeter that offers an unparalleled frequency range of 14 Hz – 27k Hz. In addition, the WiFi speaker can be updated regularly, thus improving the audio quality and features every time you update the software. To get newer versions simply download the Devialet Spark application and let EVO cybernetics do the rest. Moreover, you can connect the Phantom to multiple devices to control each room with premium HD audio. The Phantom’s built-in app can be used to control the audio in each room, which makes the whole process fast and convenient. Also, you can use voice control with the WiFi speaker making it even easier to use than most wireless speakers. The only negative we could think of is that it costs a fortune, but if you have the budget to purchase this WiFi speaker then it’s the best choice the marketplace has to offer. To summarize, the Devialet Phantom is an excellent choice, because of this many features that come with it. The frequency response is extremely wide at 14 Hz – 27k Hz, which means it can play beats at a crystal clear level. Also, the audio doesn’t decrease in quality and stays the same no matter what volume you level you play at. The Sonos Play 5 Ultimate Wireless Smart Speaker features 6 amplifiers and 6 dedicated speaker drivers that produce unbelievable audio quality. With this WiFi speaker, you can connect to any Amazon device, thus enabling voice recognition that you can use to command the speaker. In addition, the Sonos Play 5 speaker is super-fast to set up and can be done within 5 minutes using your home WiFi. You can connect multiple speakers to the Sonos Play 5 that can be placed all around your home creating a full home audio system. Moreover, you can use different apps with this WiFi speaker including Amazon music, Pandora, Apple music, and Spotify. The speaker has touch sensors that can be used to control the volume and skip songs when your phone is out of reach. Also, transporting it around the house is super easy, because it only weighs 14 pounds, which is not too heavy for a WiFi speaker. The WiFi speaker doesn’t have a built-in microphone so voice commands are out of the question. To access this feature you must purchase an additional Amazon Alexa or Echo to obtain this feature, which prompts you to spend even more money. Also, the Sonos Play 5 is a premium speaker, thus the price tag is a lot more than most WiFi speakers. To conclude, the Sonos Play 5 Ultimate Wireless Smart Speaker is an excellent choice, because of the brilliant music produced by the 6 amplifiers and 6 dedicated speaker drivers. The WiFi speaker can be controlled with voice commands when you connect Amazon Alexa or Echo to it. Also, the speaker is wall mountable so it won’t get in the way.